Make Money Online Reviews Will VidCuratorFX Create Videos for You at the Click of a Button? 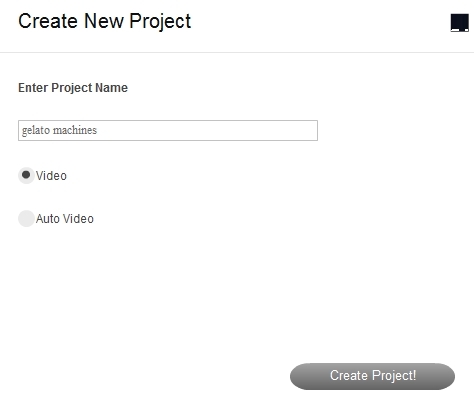 Will VidCuratorFX Create Videos for You at the Click of a Button? Rating: 2 It's a very basic video and image compilation software program. The Good: You can create very quick video and image collages. You can find lots of good content for your videos using this software. The Bad: VidCuratorFX won't create high-quality videos for you without a lot of extra features, editing and upsells thrown in. You'll be doing a lot more work than advertised to generate videos worthy of top ranking on YouTube, Instagram, etc. The Bottom Line: This is a very basic video creation software that isn't as automated as advertised. You are better off doing some legwork and using free video creation software like Windows Movie Maker, iMovie, Screencast O-Matic, WeVideo, Shotcut, Biteable, etc. Affiliate marketers are being constantly told that YouTube videos are a great way to generate traffic to and conversions on their websites. However, it takes time, effort and a bit of money to create eye-catching videos that generate attention and sales. 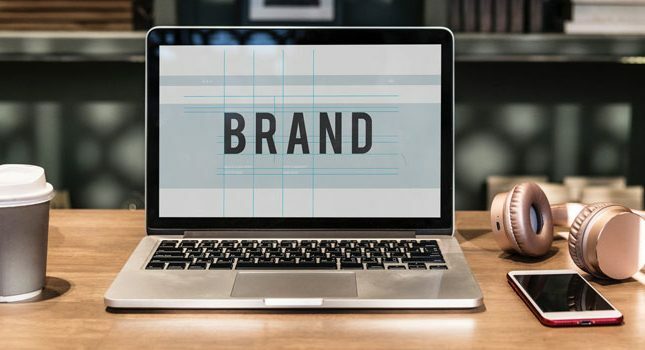 Furthermore, one needs more than a single keyword-optimized video to really stand out- ideally, several playlists of videos are recommended, with each playlist holding 4-8 videos. 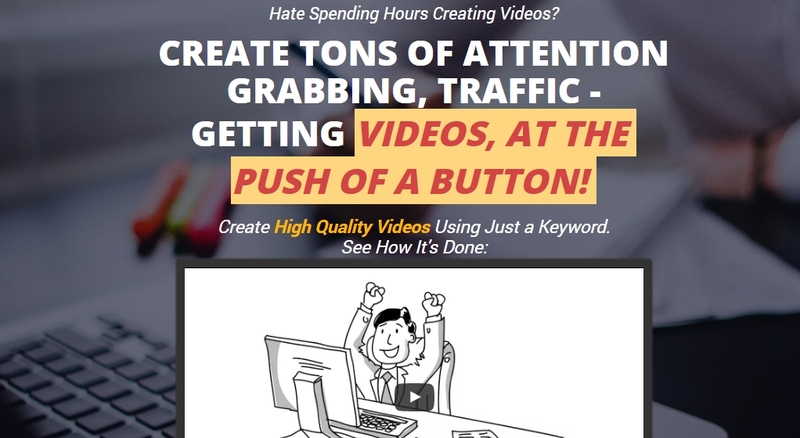 How can you, as an affiliate marketer, create a few dozen quality YouTube videos without breaking the bank or having to build your own production studio? On its sales page, Ben Murray, the creator of VidCuratorFX, describes his product as an Adobe Air-based software platform that enables you to create videos by inputting a keyword, after which the software goes through curated collections of images and video clips to create slideshow videos. The curated content is derived from Instagram, Google images, Flickr, Vine and Pixabay. Once this content has been imported, you simply edit it to create your own unique set of keyword-focused videos. Could this software platform really work as advertised? I purchased the VidCuratorFX product at its discounted price of $37.95 to find out. After all, the product video promised me a 30-day money back guarantee (see my update below), so what did I have to lose by trying out VidCurator FX? Once my purchase went through, I encountered not one, or two, or even three upsells…but a grand total of six upsells. With VidCuratorFX Pro, you obtain a developer’s license to create unlimited videos for not only your own websites, but the websites of your clients. You also get to instantly upload your videos through Instagram and Snapchat. 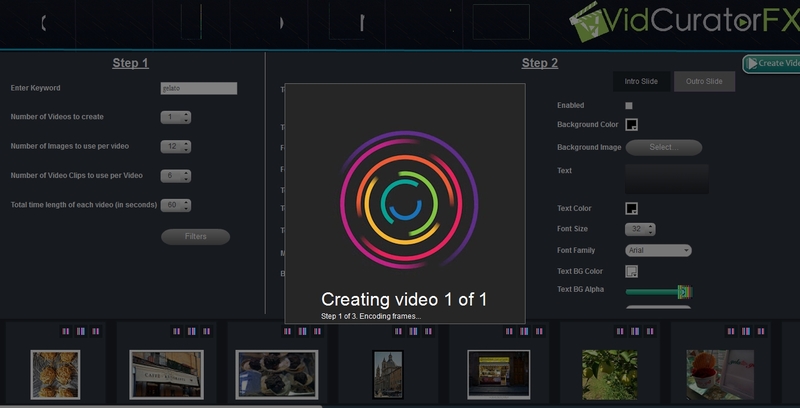 Thus, with this Pro version of VidCuratorFX, you become a video creator in your own right. This “lite” version of VidCuratorFX Pro still lets you automatically create and compile videos, except that you forego the outsourcer’s license and the Instagram and Snapchat upload feature. Ben had something else for me here- a collection of 5,000+ high-quality stock photos that I could use for my videos and ads. These stock photos were categorized into animals, buildings, fitness, food and drink, health, people, sports, business, technology, and travel and nature. From the preview page alone, these images looked fairly decent. This upsell was priced at $37.00. This software was advertised as a business-souring tool that I could use to locate businesses for my video marketing services. 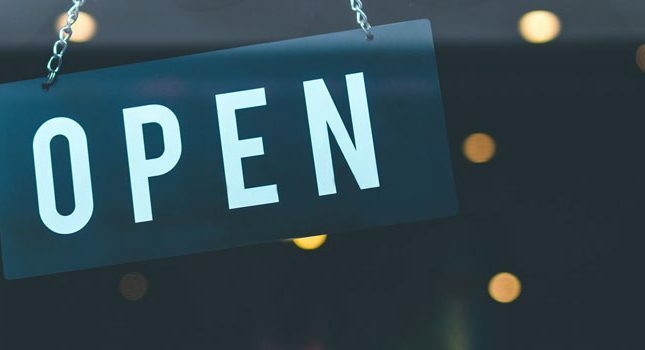 I would simply input a keyword, such as “cemetery” along with a geographic location, and the program would populate a page for me with businesses specific to my search. These businesses would be listed with their websites, emails and social media profiles. I would also learn if the respective business already had videos as part of its marketing or not. Here, I was offered a website for my video marketing agency, complete with its own dummy content and theme. This would enable me to create my own video marketing website instantly, so I could start selling my services to new clients. The price of this upsell was $27.00. This YouTube video marketing training course teaches you how to get started with effective YouTube marketing by learning how to create your YouTube account, monetize and rank your videos, collect comments, likes and shares, and run analytics. You are also instructed how to capitalize on your YouTube expertise by becoming a consultant for outside business clients. This final upsell was priced at $27.00. After I clicked away from this upsell, I returned to the JVZoo platform and my originally purchased product. What did I find inside? Within the VidCuratorFX dashboard, I located the link that enabled me to download the respective VidCuratorFX 113 MB software application file. Once I opened up this file, I was able to name my video project and input a few keywords about it. I decided to name my test video “Gelato Machines,” with my main keyword being “gelato.” I also selected the number of images and videos I wanted to be included in my project. I then clicked the start button to begin my video/image compilation. I watched my generated file and found it to be a kind of “scrapbook” of gelato images/videos. This scrapbook also contained non-gelato related images and videos, including images of pasta, frozen berries and winter landscapes, and even a video showing marijuana-laced cookies. Obviously, this compilation would require some editing. Deleting non-relevant content was easy, and I was able to add new images from my own desktop files. Obviously, having access to the VidCuratorFX image library upsell would be of benefit as I now attempted to flesh out my video/image compilation. I could not figure out how to add new videos/images to the ones already present in my compilation; however, I could save everything and create a new compilation. These two compilations weren’t too hard to join together into one longer file. In this option, I had my entire video created and set aside as one file, without its individual pieces parsed out for editing. In a way, this option made things worse because I was unable to cut out irrelevant images and annoying video clips that detracted from my message about gelato machines. The video/image sources. I could click on each file and see its source as Vine, Flickr, etc. What I couldn’t really determine was if these files were available for public distribution. While most of the files appeared to be made by private individuals, some of the images had a professional look to them. I wondered if I’d be infringing on any copyrights by using these files. Editing wasn’t going to be simple. My raw video/image files were going to require a lot more editing work than initially advertised by Ben. Not only would I need to add text and music to these clips, I’d also have to somehow “stitch” them together into a credible story and remove the unrelated content. VidCuratorFX’s search engine needed improvement. While I hadn’t input many keywords into my VidCuratorFX platform, I had distinctly added the term “gelato machines.” However, in none of my compiled videos and images did I see a single gelato machine, only gelato. Inputting this same term into Google search, I instantly received pictures, videos and other content related to the actual gelato machine. The material isn’t good enough for outside clients. 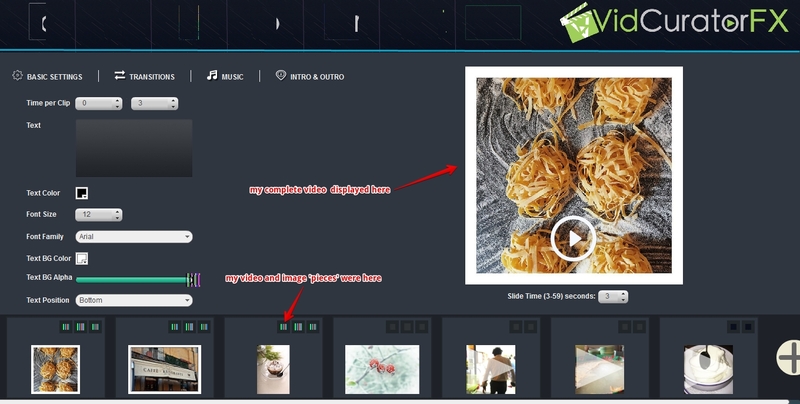 Ben says that you can use VidCuratorFX to create video and image compilations for your own clients. I could see using this platform to create rudimentary descriptor files for my own blogs and/or websites. However, I’d be hard-pressed to offer such material to outside clients, and especially clients who would want their own products/services featured. Frankly, these video/image compilations are too generic for any client who has a specific business to feature or product to sell. You’ll need those upsells- and more. Without the VidCuratorFX image library upsell, you’ll spend a lot of time scouring the Internet for good quality pictures. Without some ready access video recording and editing software, you’ll spend a lot of time scouring the content that VidCuratorFX feeds you and trying to come up with a sensible storyline. In short, you’ll need a lot more than just the VidCuratorFX software to become a true video marketer. 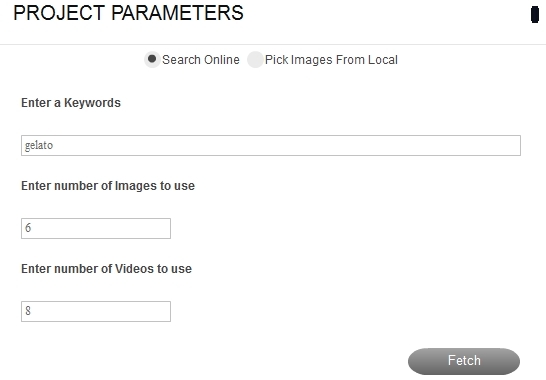 It’s a very basic platform that is designed to quickly find and deliver images and videos only. The rest of the work is left up to you- and that work includes adding text, voiceovers, sequence transitions, fade-outs, etc. So, if you think you’re setting up a video marketing business for under $38, think again. Don’t bother trying to get a refund. In hindsight, I should’ve read the program’s refund policy more closely. I’m seeing this same exact statement on other shady online programs, so I think it’s becoming the solution for marketers who promise refunds- but don’t want to deliver on that promise. In summary, if you think you’ll get your money back from VidCuratorFX as promised, think again.